Won’t miss THIS when we move to AZ! This entry was posted in Uncategorized on November 5, 2017 by Silver Willow. I know. Hate this custom! It is such a chore turning clocks back, at least the phones and computers seem to to it automatically. You are not alone. Daylight savings all year is my motto! I hate turning the clocks back in the fall and love turning them forward in the spring. 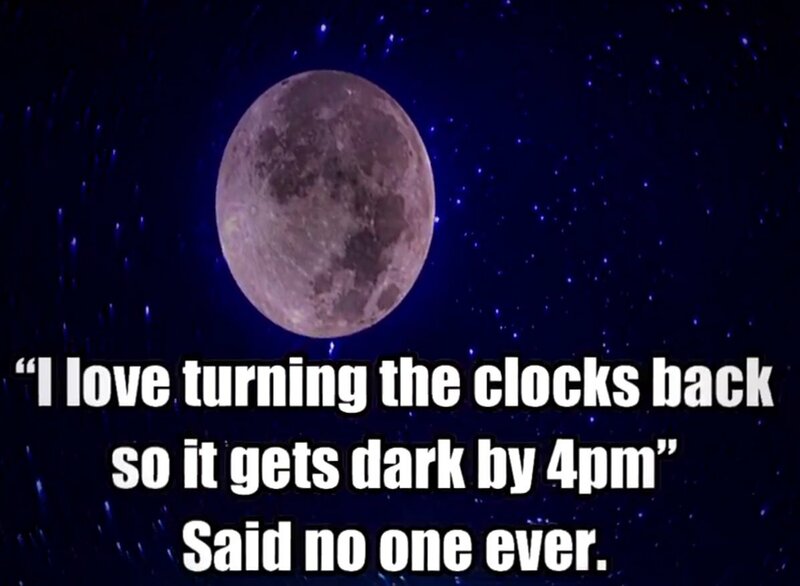 So am I for or against daylight savings? You are for it. It ended yesterday. That makes it easier but I still hate it getting darker so soon. Let`s all move to Saskatchewan. They stay on summer time all year! I own my evil; I would never get used to those winters, though! Don't mind it too much when my stomach and my dog's stomach adjust. It was bad enough that tonight was back on Standard time. In addition, an afternoon storm gloomed it up even more. 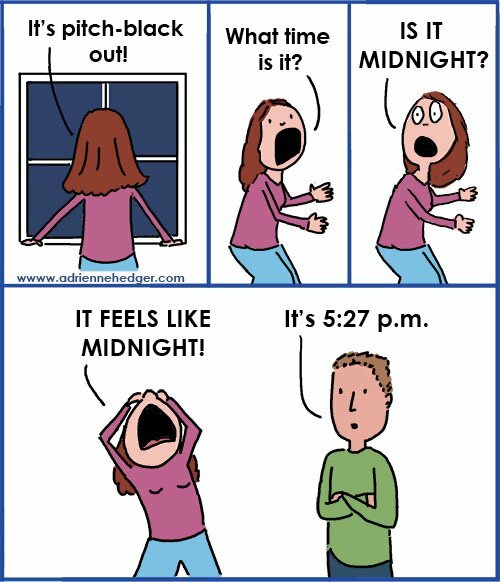 It's ridiculous how early it gets dark. Love/hate. When the sun goes down well before dinner, that's my time to turn on a lamp and curl up with a good novel! Not a fan! As a gal who has sleep issues, waking up at 4 become 3AM. NO BUENO. It's hard to get used to the early darkness at first. You think it's bedtime, but it's only 6:30 or whatever. I'm sorry it bothers your stomach! Yeah, anyone with a dog never gets that extra hour, do we? it sure is! I forgot to water the garden over the weekend, and had to rush home at 5 pm and barely got the job down before I couldn't see the plants! see, I'm the opposite. Like going to work in daylight, hate having to rush home (no errands) to get home before it gets dark. I can drive in the dark, I just don't like to. Here in the UK I'm still getting adjusted to earlier darker evenings!! !